ALLEN, Texas--(BUSINESS WIRE)--Real estate industry veteran Russ Krivor is revolutionizing the real estate industry, again, this time building apartment communities for individuals and families who are priced out of single-family home ownership. Today, Krivor announced his newest venture, Sovereign Properties, is positioned to disrupt the multi-family space by offering affordable price points with child-friendly amenities and apartments to accommodate growing families. The first development is a $73 million apartment community called Sovereign at Twin Creeks in Allen, Texas located at 729 Junction Drive. 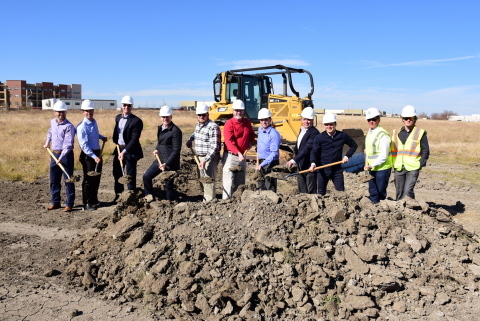 Construction is underway at Sovereign at Twin Creeks, which is expected to open in late summer 2020. The property will feature 366 units with a resident club house, fitness center, business lounge, resort-style pool and other Class A amenities with a modern aesthetic. The development will also feature a 15,000-square-foot Class A medical office building adjacent to the community. Davis Brothers Construction is the general contractor. Sovereign at Twin Creeks is located next to Krivor’s Dolce Living Twin Creeks apartment community that opened in 2016. Krivor has built over 2,500 apartments in the Dallas-Fort Worth metroplex during the past ten years. For more information visit, http://sovereignprop.com/. Real estate industry veteran is revolutionizing the industry by building apartment communities for those priced out of single-family home ownership.